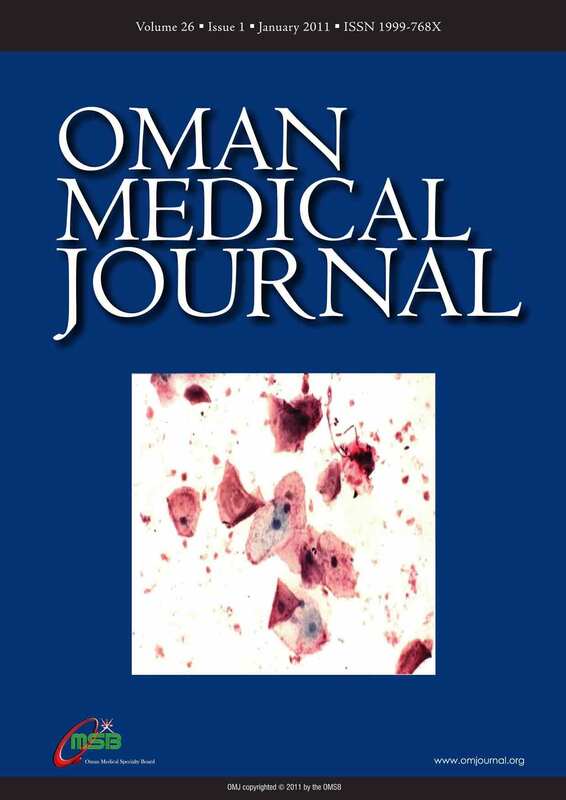 From the Department of Anesthesiology and Intensive Care, Sultan Qaboos University Hospital, Muscat, Sultanate of Oman. Mammals have lungs to breathe air and they have no gills to breath liquids. When the surface tension at the air-liquid interface of the lung increases, as in acute lung injury, scientists started to think about filling the lung with fluid instead of air to reduce the surface tension and facilitate ventilation. Liquid ventilation (LV) is a technique of mechanical ventilation in which the lungs are insufflated with an oxygenated perfluorochemical liquid rather than an oxygen-containing gas mixture. The use of perfluorochemicals, rather than nitrogen, as the inert carrier of oxygen and carbon dioxide offers a number of theoretical advantages for the treatment of acute lung injury. In addition, there are non-respiratory applications with expanding potential including pulmonary drug delivery and radiographic imaging. The potential for multiple clinical applications for liquid-assisted ventilation will be clarified and optimized in future. From the Department of Pediatrics, Besat Hospital, Motahari Boulevard, Resalat Square, Hamedan, Iran. Objectives: To improve glycemic control and prevent late complications, the patient and diabetes team need to adjust insulin therapy. The aim of this study is to evaluate the efficacy of thrice-daily versus twice-daily insulin regimens on HbA1c for type 1 diabetes mellitus by a randomized controlled trial in Hamedan, west of Iran. Methods: The study included 125 patients under 19 years of age with type 1 diabetes mellitus over a 3-month period. All patients with glycohemoglobin (HbA1c) ³8% were followed prospectively and randomized into two trial and control groups. The control group received conventional two insulin injections per day: a mixture of short-acting (regular) + intermediated acting (NPH) insulins pre-breakfast (twice daily), and the trial group was treated by an extra dose of regular insulin before lunch (three times daily). Main outcome measure was HbA1c at baseline and at the end of 3 months. The mean blood glucose level and number of hypoglycemia were recorded. All patients underwent monthly intervals follow up for assessing their home blood glucose records and insulin adjustment. Results: Overall, 100 patients completed the study protocol. 52% were females, mean ±SD of age of 12.91 ± 3.9 years. There were no significant differences in baseline characteristics including age, gender, pubertal stage, adherence to diet, duration of disease and total daily insulin dose (p>0.05). There was a significant decrease individually in both groups in HbA1c level (p<0.05), but there was no significant difference in HbA1c reduction in patients on twice-daily insulin injections and those on thrice-daily insulin injection groups (1.12 ± 2.12 and 0.98±2.1% respectively, p>0.05). From Baqiyatallah Medical Sciences University, Chemical Injured Research Center, Tehran, Iran. Address correspondence and reprint request to: Dr. Mostafa Ghanei, Baqiyatallah Medical Sciences University, Chemical Injured Research Center, Tehran, Iran. Objectives: Occupational exposure to carbon, silica, and quartz particles are predisposing factors for bronchial anthracosis. In some cases anthracosis may be associated with mycobacterium tuberculosis. This study aims to investigate the clinical, radiographic, and bacteriologic findings in bronchial anthracosis patients and its association with tuberculosis. Methods: This is a prospective study conducted between 1998 and 2001. A total of 919 patients underwent diagnostic bronchoscopy for pulmonary diseases. Of these, 71 patients showed evidence of bronchial anthracosis, 32 (45.8%) males and 39 (54.2%) females, age range, 30-92 years. The distinctive clinical features, nature of bronchoscopic lesions, and radiologic findings were analyzed prospectively and summarized. Bacteriologic studies and results of laboratory examinations were also assessed. Results: Forty-one (57.8%) patients had positive smears or cultures for mycobacterium tuberculosis. Of 71 patients with bronchoscopic evidence of pulmonary diseases, 30 had previous occupational exposure, and 41 stated no previous exposure. Cavitary lesions on chest radiography, positive purified protein derivative tests and high ESR were more prevalent in tuberculous patients than the others. Conclusion: Bronchial anthracosis was caused by active or previous tuberculous infection. Detailed examinations for the presence of active tuberculosis should be performed in patients with such bronchoscopic findings in order to prevent the spread of tuberculosis and to avoid unnecessary invasive procedures. 1Department of Medicine, Quaid-e-Azam Medical College/ Bahawal Victoria Hospital Bahawalpur. 2Department of Morbid Anatomy & Histopathology, University of Health Sciences Lahore-Pakistan. Lahore. 34th Year MBBS, Quaid-e-Azam Medical College Bahawalpur University of Health Sciences Lahore. Address correspondence and reprint request to: Dr. Ehsan Ullah, Department of Morbid Anatomy & Histopathology, University of Health Sciences Lahore-Pakistan. Objectives: We investigated the frequency of Metabolic Syndrome and evaluated the level of awareness about this condition in medical community (healthcare workers) of Bahawalpur, Pakistan. Methods: It was a cross-sectional study. It was carried out over a period of one year (June 2008 to May 2009). The following institutions took part in the study: Bahawal Victoria Hospital, Quaid-e-Azam Medical College, Paramedical and Nursing Schools and Female Jubilee Hospital. A total of one hundred and ninety four (194) Doctors and Paramedics (Nurses and Dispensors) working in the institutions included in study were selected by simple random sampling technique. Demographic, anthropometric, and biochemical data were recorded, lifestyle features were inquired about, and the level of awareness regarding MetS was surveyed. The criteria recommended by the Adult Treatment Panel (ATP) III were used for the diagnosis of MetS. The presence of MetS was evaluated in all (194) subjects. Results: Metabolic syndrome was diagnosed in 29 participants (14.95%), and there was no statistically significant difference between men and women in this respectAt least three criteria of MetS were correctly listed by 36 participants (18.56%), with physicians showing significantly higher awareness levels (p<0.001). The frequency of abdominal obesity was 22.68% and it was significantly higher in males than in females (29.29% vs 14.74%; p<0.001). Conclusion: Current study shows that only a minority of medical community are aware of MetS as a clinical entity. Nurses and other paramedics are unaware of the problem. 1School of Medicine, Queens Medical Centre, Nottingham, UK. 2Department of Surgery, King Khalid National Guards Hospital, Jeddah, Saudi Arabia. Objectives: Changes in legal standing and new guidelines for consent have generated changes in medical culture that doctors must adhere to. This study aims to highlight the differences in the way the surgeons in the two cultures view the informed consent for surgery processes. Methods: The attitudes towards informed consent of a group of surgeons working in Saudi Arabia (KSA) were compared with those of a similar group working in the United Kingdom (UK), a country with a longer medical history and a more established medico-legal system. Results: The study shows that KSA surgeons tend to view informed consent not only as an ethical and legal obligation but also as a benefit to patients. In addition, KSA surgeons are more likely to adopt a paternalistic attitude during informed consent. They believe that information about harmful risks may dissuade their patients from undergoing the operation and they admit that the amount of information they provide to their patients is significantly influenced by a number of patient and non-patient related factors. Conclusion: It is concluded that surgeons in KSA should be more aware of the informed consent guidelines and they should adhere to them. In addition, there is room for the introduction of formal training on informed consent in both countries and for making written information more widely available particularly in KSA. 1Department of Surgery, College Of Medicine, Dammam University, Dammam, Kingdom of Saudi Arabia. 2Department of Pathology, College Of Medicine, Dammam University, Dammam, Kingdom of Saudi Arabia. Address correspondence and reprint request to: Dr. Hazem M. Zakaria, Department of Surgery, Dammam University Kingdom of Saudi Arabia. Objectives: Vocal cord paresis or paralysis due to iatrogenic injury of the recurrent laryngeal nerve (RLNI) is one of the main problems in thyroid surgery. Although many procedures have been introduced to prevent the nerve injury, still the incidence of recurrent laryngeal nerve palsy varies between 1.5-14%. The aim of the present study is to assess the risk factors of recurrent laryngeal nerve injury during thyroid surgery. Methods: Patients who had thyroid surgery between 1990 and 2005 and were admitted to the surgical department of King Fahd hospital of the University, Al-Khobar, Saudi Arabia were enrolled for this retrospective review, Factors predisposing to recurrent laryngeal nerve injury were evaluated such as pathology of the lesions and the type of operations and identification of recurrent laryngeal nerve intra-operatively. Preoperative and postoperative indirect laryngoscopic examinations were performed for all patients. Results: 340 patients were included in this study. Transient unilateral vocal cord problems occurred in 11 (3.2%) cases, and in 1 (0.3%) case, it became permanent (post Rt. Hemithyroidectomy). Bilateral vocal cord problems occurred in 2 cases (0.58%), but none became permanent. There were significant increases in the incidence of recurrent laryngeal nerve injury in secondary operation (21.7% in secondary vs. 2.8% in primary, p=0.001), total/near total thyroidectomy (7.2% in total vs. 1.9% in subtotal, p=0.024), non-identification of RLN during surgery (7.6% in non-identification vs. 2.6% in identification, p=0.039) and in malignant disease (12.8% in malignant vs. 2.9% in benign, p=0.004). However, there was no significant difference in the incidence of recurrent laryngeal nerve injury with regards to gender (4.1% in male vs 3.8% in female, p=0.849). Conclusion: The present study showed that thyroid carcinoma, re-operation for recurrent goiter, non-identification of RLN and total thyroidectomy were associated with a significantly increased risk of operative recurrent laryngeal nerve injury. Address correspondence and reprint request to: Dr. Rashid AL Sukaiti, Department of Radiology and molecular Imaging, Sultan Qaboos University Hospital, P.O. Box 38, PC 123, AL Khod, Sultanate of Oman. E-mail Address: rsketty@hotmail.com. Department of Ophthalmology, Rustaq Hospital, Rustaq, Sultanate of Oman. Address correspondence and reprint request to: Dr. Jagdish Bhatia, Department of Ophthalmology, Rustaq Hospital, Rustaq, Sultanate of Oman. Objectives: A prospective study to evaluate the changes in A-Scan axial parameters of phakic normal eyes before and after instillation of 1% topical Tropicamide and 2% Homatropine eye drops. Methods: Anterior chamber depth, lens thickness, vitreous chamber length, and ocular axial length were measured in 76 eyes before and after cycloplegia induced by 1% topical Tropicamide, and in 28 eyes with 2% Homatropine eye drops. Results: Anterior chamber depth demonstrated increase from baseline readings with Tropicamide and Homatropine eye drops, while lens thickness showed decrease from the baseline readings with both eye drops. Effect of both the eye drops on over all axial length and vitreous chamber length is statistically seen, but is clinically negligible and not significant. Conclusion: Cycloplegia induced by 1% Tropicamide eye drops and 2% Homatropine eye drops has a significant measurable influence on anterior chamber depth and lens thickness, while vitreous chamber length and overall axial length demonstrated negligible statistical difference on A-Scan parameters of the normal phakic eyes. 1Department of Histopathology and Cytology, Faculty of Medical laboratory Sciences, University of Khartoum, Sudan; Sudanese Cancer Foundation. 2Department of Histopathology and Cytology, Faculty of Medical laboratory Sciences, Sudan University of Science and Technology, Khartoum, Sudan. Address correspondence and reprint request to: Prof. Hussain Gadelkarim Ahmed, University of University of Khartoum, 102, Toombak and Smoking Research Centre, Khartoum, Sudan. Objectives: Degenerative changes caused by delays in urine preservation contribute to false-negative and false-positive interpretation of urothelial disease in cytology. The aim of this study is to assess whether the delay of fixation of urine samples makes any significant difference to urine cytology and morphology, and the limit of acceptability of delay for routine use in the hospital laboratory. Methods: Three cell collection fluids were evaluated by analyzing the preservation and degeneration of cells in urine samples. In this study, 50 voided urine specimens were taken at random from females complaining of vaginal discharge. Each specimen was divided into three sterile containers. The first was immediately centrifugated and the deposit was smeared onto a cleaned micro slide and immediately fixed into 95% ethyl alcohol for 15 minutes. The remaining two were prepared in the same manner, however, the second after two hours of collection and the third after four hours of collection. The degree of degeneration and thus the preservation were assessed by a table of chosen criteria, then ranked and analyzed using Friedman's nonparametric test, atp=0.05. Results: The results showed a significant difference between the preservation and the delay in urine fixation, p<0.0001. Conclusion: Any delay in fixation of urine specimen for cytology affects the preservation of cells, which may result in miss diagnosis. It is recommended that urine samples for cytology should be fixed immediately after collection. From the Department of Anesthesia and Critical Care, National Trauma Center, Khoula Hospital, Sultanate of Oman. Address corresponding and reprint request to: Dr. Manjeet Singh Pawar, Post box 325, Postal code 112, Willayatt Muttrah, Ruwi, Muscat, Sultanate of Oman. A polytrauma patient on ventilator was admitted to ICU with open tracheostomy, GCS 8/15 and unequal pupils. After 10 days, he was weaned from the ventilator. The patient had respiratory problems i.e. expiratory stridor, shortness of breath, dysphonia and dyspnea on closing tracheostomy. It was diagnosed as a case of asthma, and the patient responded to salbutamol nebulization and intravenous steroid therapy. However, after some time, he desaturated and a plan for rapid sequence intubation was made. Endotracheal tube could not be negotiated beyond vocal cords, so an unprepared tracheostomy without proper equipment had to be immediately done by an anesthetist to save the patient’s life. CT scan revealed tracheal stenosis. This case demonstrates that patients with a short 15-days history of previous tracheostomy may have tracheal stenosis. Address correspondence and reprint request to: Dr. Vincent I. Odigie, Department of Surgery, Ahmadu Bello University Teaching Hospital. Zaria, Nigeria.